Food and beverage operators are constantly trying to keep up as their industry undergoes widespread changes. If you work in the poultry processing industry, you may be pleased to know that Airtech Vacuum Incorporated leverages over three decades of application expertise pertaining to food processing technology. We provide stellar solutions that can help you keep your poultry products and processes safe, energy efficient, compliant, and clean. When it comes to poultry processing, some of the common types of poultry include duck processing, turkey processing, broiler processing, and more. Operators often utilize equipment such as grinders, blenders, industrial cookers, thermal processors, belt conveyors, stuffing and pumping systems, hoppers, and other material handling systems. In most cases, poultry processing businesses require vacuum pumps to reduce smear effect in ground meat applications. That also enables them to achieve greater product integrity, in the form of whole muscle poultry slurries. Today, having a reliable pump is of utmost importance. You will be able to handle flexible solids in a repeatable manner, and deliver a constant feed of meat to your processing lines. 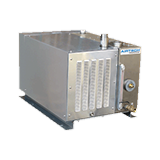 If you are looking for pump systems that offer superior suction and feature low pulsation design, Airtech has got you well covered. Why Choose Airtech Vacuum Incorporated for Poultry Processing? Airtech Vacuum Incorporated was founded in 1982 and is a reputable manufacturer of stellar vacuum and pressure technologies. 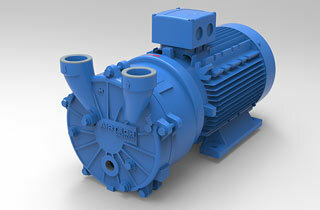 Whether you are looking for liquid ring vacuum pumps or rotary vane variants, we can help. Our company meets ISO9001-2008 requirements and is CSA-certified. You can rest assured that our products can offer superior performance for many years to come. 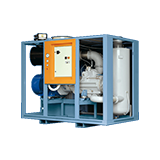 When you install our pumps into your equipment, you will be able to enjoy ease of installation and ease of maintenance. Our company understands that the needs of every poultry processing plant are unique and that’s why we provide custom design and engineering solutions as well. If you are not looking to get custom solutions for your poultry processing needs, you can browse through our extensive line of ready to ship products. Our friendly representatives are always ready to assist you to find the product that best matches your application. Feel free to look through our inventory today and source for stellar poultry processing vacuum pumps with exceptional ease.